We Aussies love rewarding ourselves, whether it’s with a trip to Maccas after a week of clean eating, or with a beer or five after getting through a long, hard week at work. But what do we love even more than rewarding ourselves? Being rewarded by others! Red Energy Rewards is the generous friend that will shout you lunch when it’s not quite pay day. But is there a hidden agenda? And is it worth switching to Red Energy just for its rewards program? In this article, you’ll find everything you need to know about Red Energy Rewards. What is Red Energy Rewards? 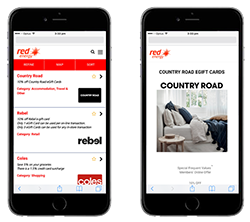 Red Energy Rewards is a program offering Red Energy customers access to more than 4,500 discounts on a multitude of products around Australia, New Zealand and even Indonesia, just for being a customer of Red Energy. It’s only available to Red Energy customers within NSW and Victoria that are on the Living Energy Saver Plan. You can expect to see discounts on everything, from your local bakery to international flights, and with thousands of offers constantly available, there’s a decent chance you’ll find something up your alley. What do you get with Red Energy Rewards? There’s no set rule to how many vouchers or deals you can redeem and you’re free to take any deal that becomes available to you. Who is eligible for Red Energy Rewards? To be a Red Energy Rewards member, it goes without saying that you’ll have to be with Red Energy for your electricity or gas. There’s no minimum amount of time you have to be with the provider to access the rewards program, but you’ll have to be on the Living Energy Saver plan in NSW or Victoria. Red Energy Rewards is only available with the Living Energy Saver plan in NSW and Victoria. But how much do these plans costs? Below are estimated bills for customers on this plan in NSW and VIC. Costs are based on three-person households and particular postcodes in each state, so use our comparison tool below for specific prices in your area. Is Red Energy Rewards available to everyone? Whilst Red Energy Rewards can deliver great value to its customers, it’s limited to those within Victoria and New South Wales. This is because, to be eligible for the incentive program, you have to be on the Living Energy Saver plan, which isn’t on offer in QLD and SA. Instead, QLD and SA residents have access to the Easy Saver plan, which much like the Living Energy Saver plan offers a 10% pay on time discount, but doesn’t offer the rewards. It’s worth nothing that although the rewards program isn’t available for QLD and SA Red Energy customers, there are still plenty of offers available in those states for members from Victoria and NSW, as well as all around Australia, New Zealand and parts of Indonesia. If you’re not interested in Red Energy Rewards, you may want to check out the retailer’s partnership with Qantas. On select electricity and gas plans, you can score as many as seven Qantas Frequent Flyer points for every $1 spent on energy. Unfortunately, Red Energy Rewards and Qantas points are not available together. You’ll have to pick one or the other. How you redeem your Red Energy rewards will depend on the type of deal you’re looking for. Red Energy is partnered with Frequent Values, so you’ll receive a card that you can show at select restaurants to redeem 20% off your meal, for example. Watch out for instructions on how to claim your rewards when making the initial purchase through Red Energy’s website or app. What other energy companies have rewards? It’s worth noting that no two rewards programs are the same, so you’ll have to check the fine print to see what you’re really getting. Will Red Energy Rewards really save me money? With rewards programs, there are no guaranteed discounts or dollar amount you will save. It depends entirely on how often you redeem rewards, and how aligned the deals are with your regular spending. Red Energy Rewards offers discounts on eGift cards from a handful of major supermarkets, meaning that when used right, you could save money on everyday purchases. However, if you’re the sort to be drawn in by a hard bargain, and likely to splurge on something you don’t really need because it’s discounted, then you might find yourself in a ‘moth to a flame’ situation. While it’s not the best idea to join an energy provider based solely on its headline discounts or rewards, if you’re already with Red Energy, its rewards program could be good value for savvy shoppers. Is Red Energy Rewards worth it? As far as rewards programs go, Red Energy Rewards seems to be up there with the best of them in terms of value. From the variety of discounted items and experiences, to the number available at any time, there’s a good chance you’ll be able to find something worth doing. 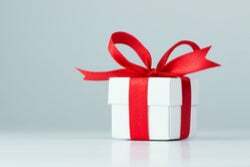 Red Energy customers can also receive bonus offers which change regularly, which can be big ticket discounts on things like hotel and flight packages. 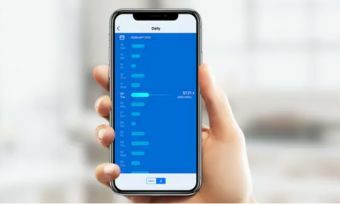 And if value’s what you’re after, you’ll be happy to hear our energy comparison tool can sort through plans available in your area based on a value rank out of ten. To get started, hit the button below.